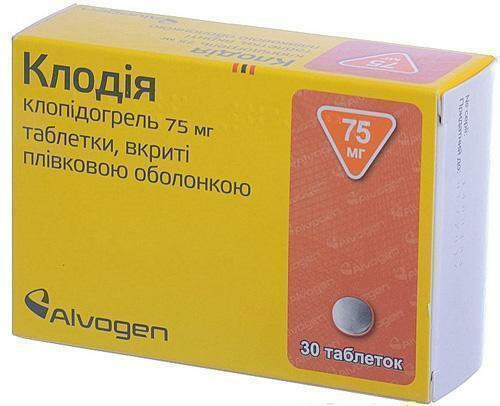 Amlodipine-Technologist 10 mg tablets # 30- instructions for use, pharmacological properties, indications and contraindications. auxiliary substances: lactose, microcrystalline cellulose, croscarmellose sodium, hypromellose (hydroxypropylmethylcellulose), povidone 25, magnesium stearate, silicon colloid dioxide, indigo (E 132). single-layer tablets of round form white or white with a blue hue of color, the upper and lower surfaces of which are convex. A relatively homogeneous structure is visible on the fault under the magnifying glass. Selective calcium antagonists with a predominant effect on blood vessels. Derivatives of dihydropyridine.Amlodipine. ATX C08C code A01. 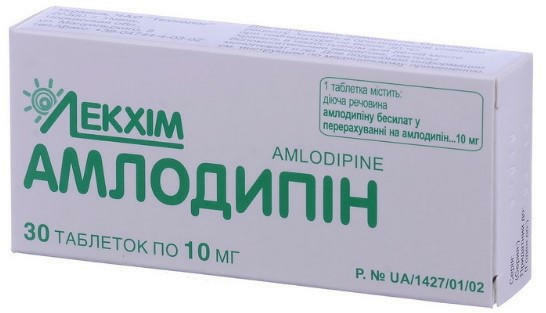 Amlodipine is a calcium antagonist (dihydropyridine derivative), which blocks the flow of calcium ions into the myocardium and smooth muscle cells. Amlodipine dilates peripheral arterioles and thus reduces peripheral resistance (afterload).Reducing the burden on the heart leads to a reduction in energy consumption and myocardial oxygen demand. Expansion of the main coronary arteries and coronary arterioles, possibly, also plays a role in the mechanism of action of amlodipine. In patients with arterial hypertension, the use of the drug once a day provides a clinically significant reduction in blood pressure during 24 hours in the supine position and standing. In patients with angina at the use of a single daily dose, the total time of physical activity increases. The drug reduces the frequency of angina attacks and the need for nitroglycerin. Suction / distribution. After oral administration of therapeutic doses, amlodipine is gradually absorbed in the blood plasma. Simultaneous food intake does not affect the absorption of amlodipine. The bioavailability of the unchanged molecule is approximately 64-80%. The maximum concentration in the blood plasma is reached within 6-12 hours after application. The volume of distribution is approximately 21 l / kg, the dissociation constant of the acid (pKa) of amlodipine is 8.6. In vitro studies have shown that the binding of amlodipine to plasma proteins is approximately 97.5%. Metabolism / withdrawal. The half-life of plasma is approximately 35-50 hours. Equilibrium concentration in blood plasma is achieved after 7-8 days of continuous use of the drug. Amlodipine is mainly metabolized with the formation of inactive metabolites. About 60% of the administered dose is excreted in the urine, about 10% of which is amlodipine in unchanged form. Patients of advanced age. The time to achieve an equilibrium concentration of amlodipine in plasma is similar in elderly patients and in adult patients. Amlodipine clearance is usually somewhat reduced, which in elderly patients leads to an increase in the area under the concentration / time curve (AUC) and the half-life of the drug. Patients with impaired renal function. Amlodipine is extensively metabolized to inactive metabolites. 10% of amlodipine is excreted unchanged in the urine. Changes in the concentration of amlodipine in the blood plasma do not correlate with the degree of impaired renal function. Patients with impaired renal function can use the usual doses of amlodipine.Amlodipine is not removed by dialysis. Children. Pharmacokinetics studies were conducted with the participation of 74 children with arterial hypertension aged 12 to 17 years (also 34 patients aged 6 to 12 years and 28 patients aged 13 to 17 years) who received amlodipine at a dose of 1.25-20 mg per day for 1 or 2 admission. Usually, the clearance for oral administration to children aged 6 to 12 years and 13 to 17 years of age was 22.5 and 27.4 l / h, respectively, for boys, and 16.4 and 21.3 l / h, respectively for girls. There is a significant variability in exposure in different patients. Information about patients under the age of 6 years is limited. Vasospastic angina pectoris (Prinzmetal angina). Hypersensitivity to dihydropyridines, amlodipine or to any other component of the drug. Arterial hypotension of a severe degree. Obstruction of the left ventricular outflow tract (eg severe aortic stenosis). Hemodynamically unstable heart failure after acute myocardial infarction. The effect of other drugs on amlodipine. The simultaneous use of amlodipine and CYP3A4 inhibitors of potent or moderate action (protease inhibitors, azole antifungal agents, macrolides such as erythromycin or clarithromycin, verapamil or diltiazem) can lead to a significant increase in exposure to amlodipine, which may increase the risk of hypotension. The clinical significance of such changes may be more pronounced in elderly patients. Clinical monitoring of the patient's condition and dose selection may be required. It is not recommended to simultaneously use amlodipine and grapefruit or grapefruit juice, because in some patients the bioavailability of amlodipine may increase, which in turn leads to an intensification of the hypotensive effect. Information on the effect of inducers CYP3A4 on amlodipine, no. The simultaneous use of amlodipine and substances that are inducers of CYP3A4 (for example, rifampicin, St. John's wort), can lead to a decrease in the concentration of amlodipine in the blood plasma, so it is necessary to use such combinations with caution. The animals had ventricular fibrillation with a fatal outcome and cardiovascular collapse, which was associated with hyperkalemia, after the administration of verapamil and dantrolene intravenously. Because of the risk of developing hyperkalemia, it is recommended to avoid the use of calcium channel blockers, such as amlodipine, prone to malignant hyperthermia in patients and in the treatment of malignant hyperthermia. Influence of amlodipine on other drugs. The hypotensive effect of amlodipine potentiates the hypotensive effect of other antihypertensive agents. There is a risk of increasing tacrolimus levels in the blood with simultaneous use with amlodipine, however the pharmacokinetic mechanism of such interaction is not completely established. 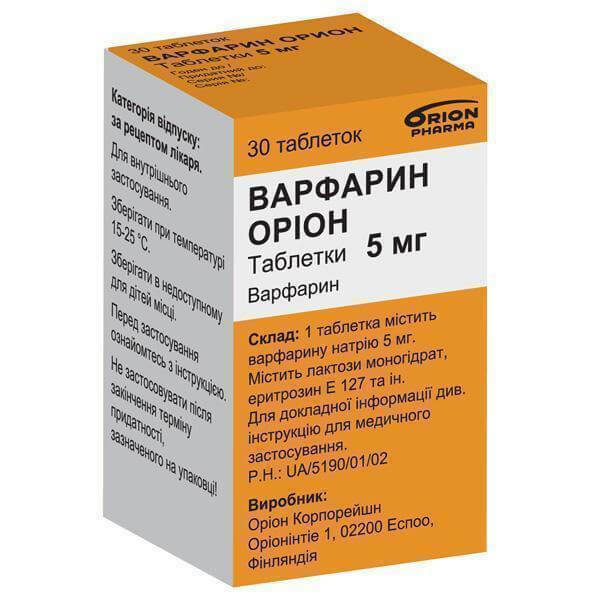 To avoid the toxicity of tacrolimus with the simultaneous use of amlodipine, regular monitoring of the tacrolimus level in the blood and, if necessary, dose adjustment, are necessary. Studies of the interactions of cyclosporine and amlodipine with healthy volunteers or in other groups have not been carried out, except for patients with a transplanted kidney in whom a variable increase in the residual concentration of cyclosporine (0-40% on average) was observed. For patients with transplanted kidney who use amlodipine, the possibility of monitoring the concentrations of cyclosporine should be considered and, if necessary, a dose of cyclosporin should be reduced. The simultaneous use of multiple doses of amlodipine 10 mg and simvastatin at a dose of 80 mg led to an increase in the exposure of simvastatin by 77% compared with the use of simvastatin alone. For patients who use amlodipine, the dose of simvastatin should be limited to 20 mg per day. Clinical studies of drug interaction showed that amlodipine does not affect the pharmacokinetics of atorvastatin, digoxin and warfarin. The safety and efficacy of amlodipine in hypertensive crisis were not assessed. This drug should be used with caution. Patients with congestive heart failure, calcium channel blockers, including amlodipine, should be used with caution, as they can increase the risk of cardiovascular events and fatal cases in the future. Patients with impaired liver function. Amlodipine half-life and AUC parameters are higher in patients with impaired liver function. Therefore, this category of patients should start using the drug with a low dose. You should be cautious both at the beginning of the drug and at an increased dose. Patients with severe hepatic insufficiency may need a slow dose selection and careful monitoring of the patient's condition. Increase the dose of the drug in this category of patients with caution. In this category of patients, the usual dose of the drug should be used. Changes in the concentration of amlodipine in the blood plasma do not correlate with the degree of renal dysfunction. Amlodipine is not removed by dialysis. It is not recommended to use amlodipine together with grapefruit or grapefruit juice, because in some patients bioavailability can be increased, which will lead to an increase in the antihypertensive effect of the drug. Excipients . The preparation contains lactose. Patients with rare hereditary diseases, such as galactose intolerance, Lappease lactase deficiency and glucose-galactose malabsorption, should not use this drug. Reported biochemical changes in the sperm head in some patients with the use of calcium channel blockers. Clinical information on the potential impact of amlodipine on fertility is not enough. Use during pregnancy or lactation. The safety of amlodipine in women during pregnancy is not established. Use of amlodipine during pregnancy is recommended only in cases where there is no safer alternative, and the risk associated with the disease itself exceeds the possible harm from treatment for the mother and fetus. In animal studies, when reproducing high doses, reproductive toxicity was observed. It is unknown whether amlodipine penetrates breast milk. When deciding whether to continue breastfeeding or about the use of amlodipine, it is necessary to assess the benefits of breastfeeding for the baby and the benefits of using the drug for the mother. The ability to influence the reaction rate when driving vehicles or other mechanisms. Amlodipine may have little or moderate influence on the ability to drive vehicles or work with other mechanisms. The reaction rate can be reduced if symptoms such as dizziness, headache, confusion or nausea occur. One should be cautious, especially at the beginning of therapy. For treatment of arterial hypertension and angina, the initial dose is 5 mg once a day. Depending on the patient's response to therapy, the dose can be increased to a maximum dose of 10 mg once a day. 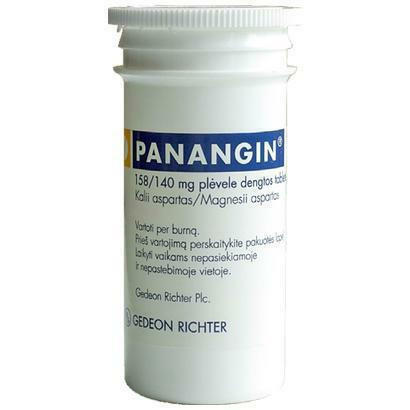 Patients with angina pectoris can be used as a monotherapy or in combination with other antianginal drugs for resistance to nitrates and / or adequate doses of beta-blockers. There is an experience of using the drug in combination with thiazide diuretics, alpha-blockers, beta-blockers or angiotensin-converting enzyme inhibitors to patients with hypertension. There is no need to select a dose of the drug when used simultaneously with thiazide diuretics, beta-blockers and angiotensin-converting enzyme inhibitors. Children aged 6 years with hypertension. The recommended initial dose of the drug for this category of patients is 2.5 mg 1 time per day. If the required level of blood pressure is not reached within 4 weeks, the dose can be increased to 5 mg per day. The use of the drug in a dose of 5 mg for this category of patients has not been studied. There is no need to select a dose for this category of patients. Increase the dose should be done with caution. It is recommended to use usual doses of the drug, since changes in the concentration of amlodipine in the blood plasma are not related to the severity of renal failure. Amlodipine is not excreted by dialysis. Doses of the drug for use in patients with impaired liver function of mild and moderate severity have not been established, therefore, the dose should be selected with caution and start using the drug with a low dose in the dose range (see Section "Features of use" and "Pharmacological properties., Pharmacokinetics" ). The pharmacokinetics of amlodipine has not been studied in patients with impaired hepatic function. In patients with impaired liver function, severe use of amlodipine should begin with a low dose and gradually increase it. Tablets of 5 mg are not intended to be divided in half to obtain a dose of 2.5 mg. The drug is used in children aged 6 years. The effect of amlodipine on the blood pressure of patients under 6 years of age is unknown. Experience of deliberate overdose is limited. Overdose Symptoms: A significant overdose will lead to excessive peripheral vasodilation and, possibly, reflex tachycardia. A significant and possibly prolonged systemic arterial hypotension, including a fatal shock, has been reported. Treatment of clinically significant arterial hypotension caused by an overdose of amlodipine requires active support of cardiovascular activity, including frequent monitoring of heart and respiratory function, increased lower extremities, monitoring of circulating fluid volume and urination. To restore the tone of blood vessels and arterial pressure, vasoconstrictive drugs can be used, making sure that there are no contraindications to their use. The use of calcium gluconate intravenously can be useful for leveling the effects of calcium channel blockade. In some cases, gastric lavage may be beneficial. The use of activated carbon by healthy volunteers within 2:00 after the administration of 10 mg of amlodipine significantly reduced the level of its absorption. Since amlodipine is largely associated with proteins, the dialysis effect is insignificant. On the part of the blood and lymphatic system: leukopenia, thrombocytopenia. From the immune system: allergic reactions. Metabolic disorders and alimentary disorders hyperglycemia. Mental disturbances: insomnia, mood changes (including anxiety), depression, confusion. From the side of the nervous system: drowsiness, dizziness, headache (mainly at the beginning of treatment), tremor, dysgeusia, hypesthesia, paresthesia, hypertonia, peripheral neuropathy. On the part of the organs of vision: visual impairment (including diplopia). From the organs of hearing and the labyrinth: ringing in the ears. From the heart: tachycardia, myocardial infarction, arrhythmia (including bradycardia, ventricular tachycardia and atrial fibrillation). From the side of the vessels: hot flushes, arterial hypotension, vasculitis, fainting. Respiratory, thoracic and mediastinal disorders: shortness of breath, rhinitis, cough. On the part of the gastrointestinal tract: abdominal pain, nausea, vomiting, dyspepsia, violation of intestinal motility (including constipation and diarrhea), dry mouth, pancreatitis, gastritis, gingival hyperplasia. On the part of the digestive system: hepatitis, jaundice, increased levels of hepatic enzymes (most often associated with cholestasis). From the skin and subcutaneous tissue: alopecia, purpura, skin discoloration, increased sweating, itching, rash, exanthema, angioedema, erythema multiforme, urticaria, exfoliative dermatitis, Stevens Johnson syndrome, Quincke's edema, photosensitivity. From the osteomuscular and connective tissues: edema of the shins, arthralgia, myalgia, muscle cramps, back pain. From the side of the kidneys and urinary tract: violation of urination, nocturia, increased frequency of urination. On the part of the reproductive system and mammary glands: impotence, gynecomastia. Common disorders: edema, fatigue, chest pain, asthenia, pain, malaise. Study: increase or decrease in body weight. Exceptional cases of development of extrapyramidal syndrome have been reported. 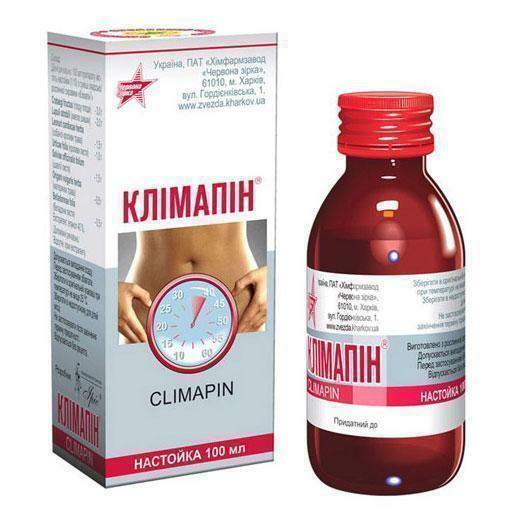 In the original packaging at a temperature of no higher than 30 о С. Store in a place inaccessible to children. 10 tablets 10 mg dose in a blister, the blister 90 in a cardboard box.